A Suffolk Golf Club has uncovered a curious connection it shares with The Masters Tournament – golf’s season opening Major Championship – which gets underway on Thursday. 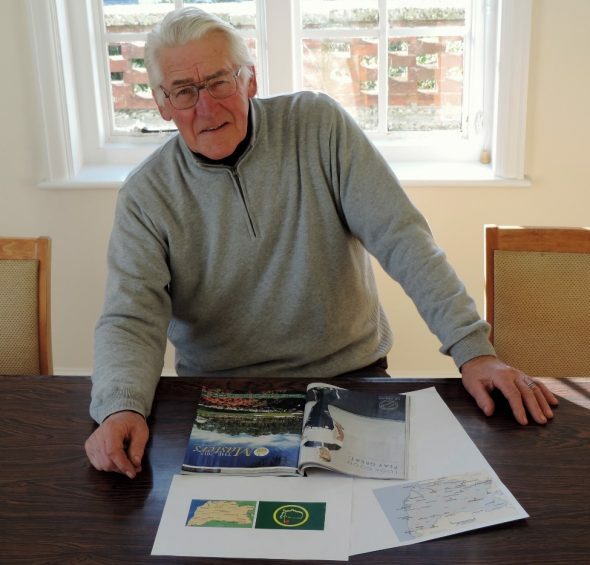 Thorpeness Golf Club and Hotel Head Professional Frank Hill was having a coffee and reading a magazine article about Augusta National Golf Club when he discovered the unusual link with the Suffolk holiday village where he’s worked for 19 years. “I was looking at a picture of the green jackets that Masters Champions wear with the famous badge and map of Georgia state with the golf flag showing Augusta’s location. I was in our hotel library at the time where there is a map of Suffolk and I noticed that Georgia, U.S.A and Suffolk are virtually identical in shape. When I looked more closely I saw that both Augusta and Thorpeness are in virtually the same place on the respective maps. I had to look twice but when put side by side it’s uncanny,” said Frank. Hill is the current Captain of the Suffolk PGA (Professional Golfer’s Association) and has played in The Open Championship five times but had never ever made the connection before. The 79th Masters tournament gets underway on April 9th with Northern Irishman Rory McIlroy seeking to make it a career grandslam of Majors if he wins the famous green jacket this month. “The Masters is possibly the best known tournament in the entire sport, for golfers and non-golfers, and it’s the one that marks the unofficial start of the golfing year. The connections don’t stop at location either. Both Thorpeness and Augusta National were designed by legendary Scottish golf course designers, Augusta by Dr. Alister Mackenzie and Thorpeness by five-time Open Champion James Braid.